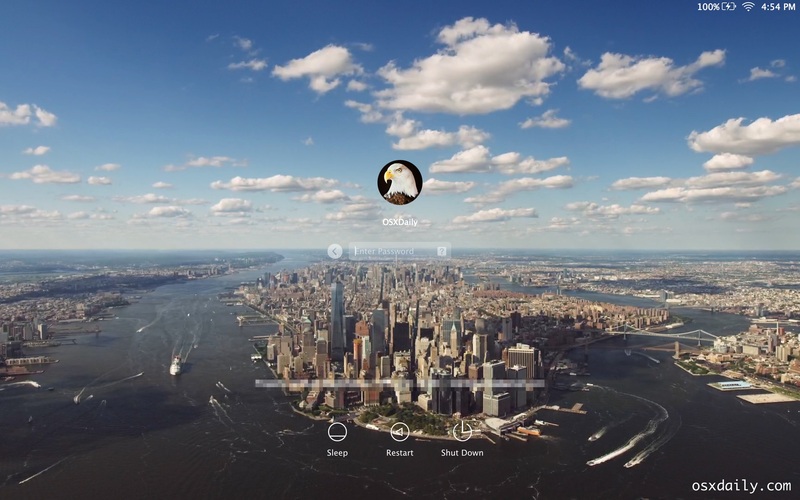 You can easily change the login screen wallpaper in OS X El Capitan to any image of your choice. This will impact the appearance of the login window when you boot a Mac, and also when you are using fast user switching to change user accounts. The wallpaper image that is replaced is what sits behind those login locked screens, which by default is a blurry version of the active desktop picture wallpaper. 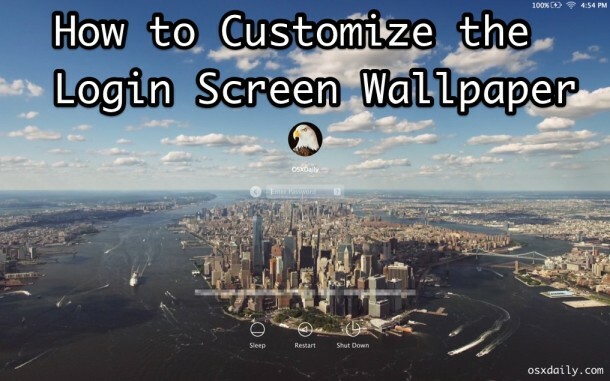 The replaced customized wallpaper will be your picture without any blurred effects. For those who have customized the login screen in OS X Yosemite, you’ll find the task is similar, whereas performing the same action in OS X Mavericks is quite a bit different. 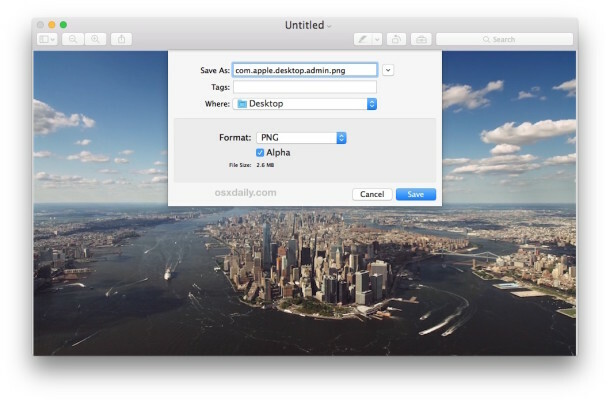 This modified a system file, meaning you should backup OS X before beginning just to be safe. First, ready the new wallpaper image file: Locate a large resolution picture of the image you wish to set as the new login screen wallpaper, be sure it matches your screen resolution for best results (it will resize to fit either way). For the example here, I picked a screen capture of Manhattan as taken from the really nice Apple TV screen savers for Mac. You can verify and see the change by bringing up the Fast User Switching screen, accessing the lock screen, rebooting, or logging out of the Mac. Looks great, right? Use your own picture, a family picture, artwork, or browse through wallpapers to find something fitting to your preferences. Happy customizing! Interesting, the file should be there if you have changed the wallpaper at some point in OS X (the general wallpaper, since that is what is used by default). But if the file com.apple.desktop.admin.png is not there like you noticed, adding one that matches the file name and file type should work to change the login wallpaper as described. Glad it worked out! Make sure you use #2. 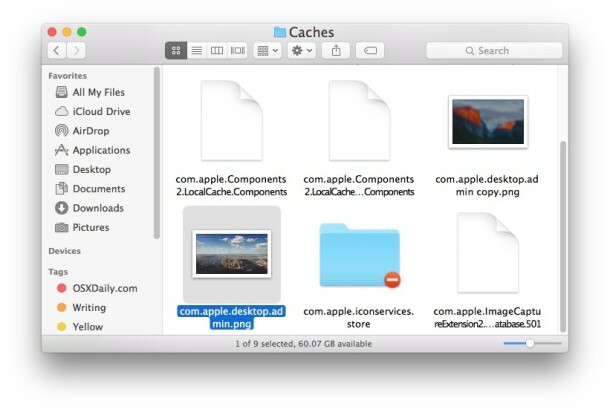 #1 will bring you to your specific user cache folder, you can’t change the computer login image in your user folder. Thank you for the original post! Back again: It does not matter whether or not the file com.apple.desktop.admin.png exists in /Library/Caches, the workaround still works; just drop the .png file into that location and log out/in to see your customized login screen. Yea I can confirm it works people! Was doing this with 10.10 as well. 10.8.x I didn’t even mess with trying to change it and don’t recall how bad 10.9 was. I also lock png file as well, not sure if you have too, but I do it anyway. My picture blurs after I reboot. WTF? Fixed – Make sure the new picture has permission “Read only” for “everyone”, instead of “No Access” or “Read & Write”. Interesting, I did not run into that. Good to know that it sounds like you can control the blur or not blurring by adjusting permissions! When I put my iMac to sleep & lock it, it uses my desktop wallpaper and blurs them… WTF? Geez. Cool I set my wallpaper as a custom great one. And I set my coworkers to Jeb Bush. Okay, now how do I replace the apple that shows up (before I get to the desktop) when my Mac boots? I used to have another logo there, which gradually went away when I updated to Yosemite and El Capitan. If you use CCleaner, and select caches when you run it, it will delete com.apple.desktop.admin.png everytime. El /Capitan is too damn slow to be messing around with Wallpaper. Don’t know what i’m not doing right. Just not working for me! First the com.apple.desktop.admin.png folder is not present, I created then dropped the file as instructed. Still doesn’t work…..
I’ve just been using Onyx to do this for years. It works for me if I lock the Mac. If the Mac goes to sleep and locks itself I still have the old, standard lock screen. Any way around that? It worka fine on a iMac but after a reboot it’s changed back the dull grey pic again. Caches is really not the best place for this kind of function, there must a original pic somewhere in the system. Or it get’s generated to fit the screen. So I did all the steps required and while the picture says that it’s there, all I get when my mac boots up is a very ugly red screen (with the login information there of course I know it didn’t crash). But I followed all the instructions so how to I change it to not -that-? Any advice on getting a persistent customized Desktop image for a GUEST USER account? As for blurring, I heard that the image has to have the same screen dimensions as your display (or smaller). In the version of Preview I’m running under El Cap Version (8.1 (877.7)) there is no “Save as…”. I used “Export…”. Hello. I’d like to ask if there’s a way to have a different image showing up every time I log in? In order to change the login screen wallpaper in macOS Sierra, activate the root user and set it’s wallpaper to one of the images that are provided in the OS using ctrl-click to invoke the wallpaper change. Afterwards, the login screen wallpaper is put into the /Library/Caches/ folder. For security reasons, its a good idea to deactivate the root user after you have verified that the change has worked. I tried and it was success!! I could replace the login wallpaper..
when I logout or locked my mac and try to login, the customized wallpaper appear. that is awsome,and there is no problem. However, when I make my mac sleep and wake up, the wallpaper is still original, not the customized one..
Why it cannot be replaced? Does anyone know how to customized the wake up wallpaper?